Seems like the most creative solutions come out of the Blue. Blue is a Washington, DC based advertising agency specializing in public affairs advertising that positions industry associations, corporations and non-profits among policymakers and policy influencers. Clients come to Blue to tackle a variety of communications challenges, but all share a common objective: shaping targets’ opinion. Whether a corporation seeking to enhance its reputation, a trade association looking to educate opinion elites on a vital policy issue or a nonprofit aiming to raise awareness around a cause, success demands a campaign that effectively changes minds. 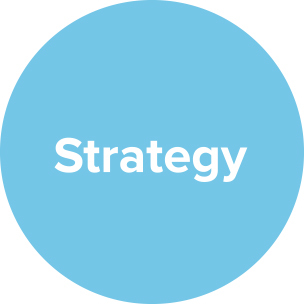 Our expertise lies in crafting campaigns – from strategy to message to creative to media planning – that help clients achieve specific strategic objectives. Blue has worked for clients such as the American Petroleum Institute, the American Heart Association and the Society for Human Resource Management. WAEPA has provided group term life insurance to civilian federal employees since 1943. They came to Blue to help elevate their brand and value proposition. The Blue ad campaign, which launched in the fall of 2017, uses a friendly, informative spokesperson to underscore the message that WAEPA is the clear choice for federal employees seeking affordable group term life insurance — and more. 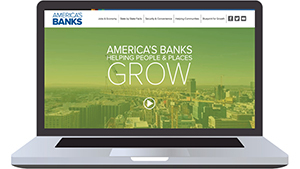 Blue recently worked with the American Bankers Association to create a new website. It showcases various ways that banks of all sizes help people and places grow. We built this website from the ground up, working with ABA on everything from strategy to design to copywriting to video production/editing. Click to see the result! Blue is an advertising agency that specializes in public affairs, industry positioning and corporate image advertising. Our services include: strategy, messaging, advertising, creative (including television, broadcast, video, radio, print and outdoor), digital and media buying/planning/placement. 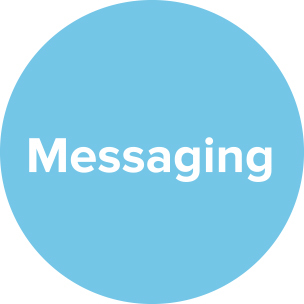 Blue develops cross-platform digital ads that reach targeted audiences and drive engagement. We create eye-catching digital content ranging from mobile to native to display to digital video. From initial strategy to eye-catching content creation using rapidly evolving web tools, Blue develops cross-platform digital ads that reach your target audience and drive engagement. After implementation, we evaluate creative, monitor metrics, analyze results and optimize throughout the digital flight. Below are samples from a multimedia campaign we created for Research!America. Follow Blue on Twitter for updates on our work and the latest buzz in the advertising industry.